Are you looking for the best cat scratching post? Do you need to stop your cat from ruining your furniture? To solve this problem introduce a scratching post and your pet will love it and you will save your furniture from being ruined. What does it tend to scratch on? Does your cat favour a particular position – hind legs or on the back? What type of surfaces does your cat tend to scratch – wood, carpet or others? Does your cat tend to scratch many different things or the same things? How many cats do you have and do they each have individual needs? 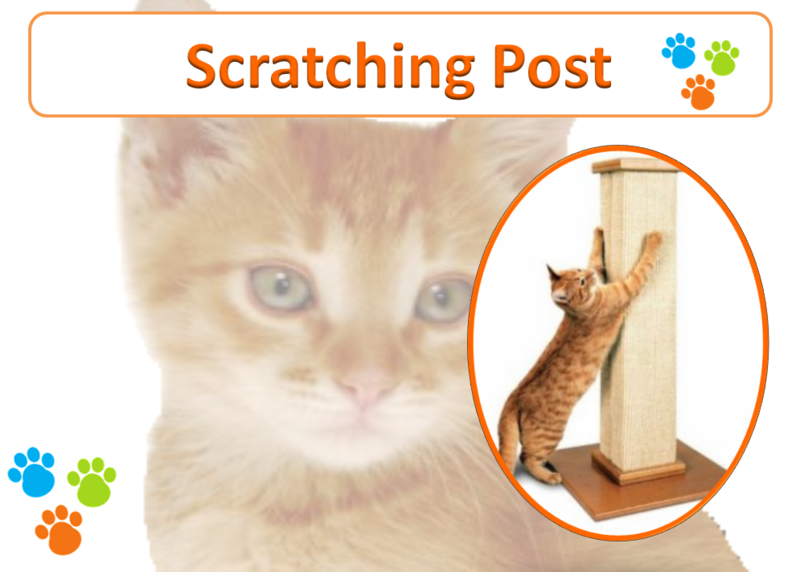 What Is the Most Ideal Cat Scratching Post? Stability – choose a stable and sturdy location that does not topple over and can take the full weight of your cat. Size – Choosing the most ideal size is determined by the size of your cat and provide enough space to stretch out . Horizontal or Vertical – observe the position you cat naturally scratches either on hind legs, reaching up or lying down and choose according to their natural orientation. The Happy Pet Company understands your cats needs and will gladly help you choose the most ideal cat post for your individual cats needs. We have a range of scratching posts in various styles, sizes and fabrics to choose from that would be ideal for your cat’s individual needs.